Former NatWest Spark graduate, and female entrepreneur, Emily Newstead, has been crowned ‘Corporate Gifting Supplier of the Year’, having grown a unique, luxury gifting and branded merchandise business, Bow.Gifts, which now services business across Yorkshire and the UK, as well as cracking the International market – now shipping to 20 destinations worldwide. 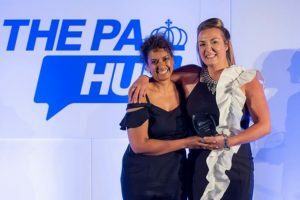 Bow.Gifts pipped national retailers including John Lewis, Kiehl’s, Spicers of Hythe and Wheelers Luxury Gifts to the post, in The PA Awards 2018, which were nominated, and voted on by the local business community. On winning the Award, CEO & Founder, Emily Newstead commented: “This award represents so much for me personally and also the team behind the brand. It shows that hard work is recognised and when pursing your passion, even when its seems difficult to do so, and it does actually pay off and bring rewarding milestone moments in your life such as these. Bow.Gifts is on the cusp of its fourth year in business, currently working on new technology to enable businesses to embrace the advances in technology to configure unique and bespoke packages.